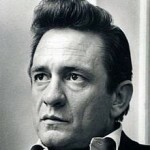 Thursday, August 4, 2011 will be the inaugural run of the “Johnny Cash Music Festival”, put on by Arkansas State University in Jonesboro, with direct help and participation from members of the Cash family. The focus of the music festival is to raise funds for the “Johnny Cash Boyhood Home project” in Dryess, Arkansas. Plans for the project include turning a former government administration building in Dryess into a museum, restoring the theater next door to show orientation films, and “restoring or re-creating” the boyhood home that Cash lived in from age 3 until graduating high school. Dyess Colony was a Depression-era cooperative agricultural project in Mississippi County. 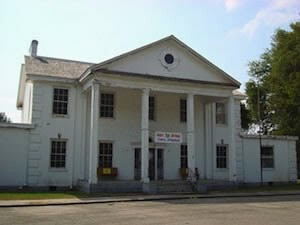 Work has already begun to restore the administration building and theater. The lineup is star studded to say the least. It includes Johnny’s children Rosanne Cash and John Carter Cash, Johnny’s brother Tommy Cash, as well as Kris Kristofferson, George Jones, Dailey & Darren Vincent, Garry Morris, Rodney Crowell, and Chelsea Crowell. This event is just the beginning of a long term commitment to honor and preserve the incredible legacy of Rock and Roll, Country and Gospel Music, of Hall of Famer, Johnny Cash. His home and the museum in Dyess will establish a gathering place for his fans from all over the world to meet and honor Johnny for his great contribution to the world of music…We look forward to this being an annual event and be far reaching. Just pointing out that Chelsea Crowell is actually Johnny Cash’s granddaughter. Really this looks like a really cool festival for a good cause at a great price. I also really like how the Cash family wants to keep a sort of “family reunion” atmosphere at the festival and bring in only acts that are family or friends of Mr. Cash. That said, Carlene Carter is a big omission and I think they could do worse than bring in Willie, Shooter, and Jessi Colter. Still, one article I read seemed to imply that more performers would be announced over time, so you never know…. Adam, I’m no sure that Roseanne and Carlene are pals. Got that sense from an No Depression feature on Roseanne in the early oughts. I don’t pretend to know anything about the relationship between the two, but if I recall the article correctly she didn’t name names and I believe it was about June’s other daughter Rosey. Actually, John Carter also says several things about Rosey in the book he wrote on his mother (worth checking out), but never anything negative about Carlene. But, by her own admission, Carlene was an addict at that time and was arrested with Howie Epstein on drug charges and I don’t know anything about the situation beyond those facts. That makes sense to me, because mid April is pretty late to announce a festival in August. I can’t find contact information on their site. Does anybody know who to get a hold of to help out? Your best bet is probably John Carter. I looks like things are still developing around the festival and their website as they are admittedly behind schedule for this year. My guess is contact info will materialize shortly. You should be able to get ahold of John Carter Cash(.com) through his website. Yeah, I didn’t want to give out his e-mail address in public, but it looks like it’s all posted there anyway. He’ll get back to you, just keep in mind that he’s a pretty busy guy so it may be a few days. It sounds like they are trying to recreate a similar thing that’s in Tupelo, Mississippi where they have recreated the shack that Elvis was born in. It seems to be a positive thing to do in a small town, it brings tourists to a place they would never normally visit. The biggest irony of that is when I visited (for the exact reason detailed above) I just fell in love with Tupelo. It was one of those cool, quirky, eccentric little towns full of wonderful warm characters. Hopefully it will do for Dryess what it did for Tupelo. Speaking of Johnny Cash, have you heard this horrible rendition of “Folsom Prison Blues” that’s on Johnny Cash’s VEVO page?